We understand the critical role branding plays in communicating the essence of your company’s positioning, products and services. We know that compelling brand solutions engage consumers on an emotional level. And when that connection is made, great things can happen. We are BergmanCramer and bring over 30 years of experience in creating brands that bring you together with the people you want to reach. 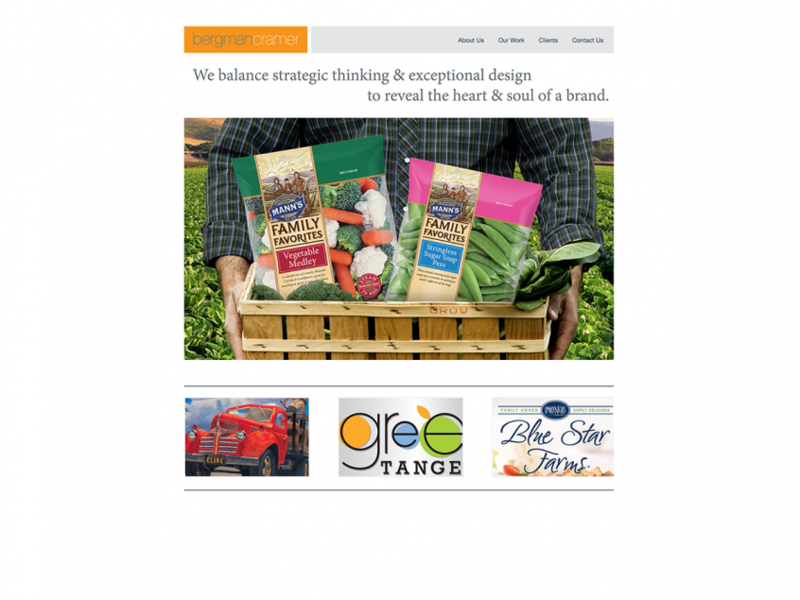 We’re creative problem-solvers and collaborative thinkers, and we believe in a holistic approach to branding. We are experts in finding the perfect balance between strategy and creativity, crafting award-winning brand solutions that have power and grace. We create a unified “voice” for all vital touch points: brand identity, package design, interactive print and environmental. We have all the creativity and depth of experience you expect from a big agency, along with the responsiveness and attention to detail you love about working with a small shop. We’re smart, insightful and passionate. We’re ready to make your brand great.